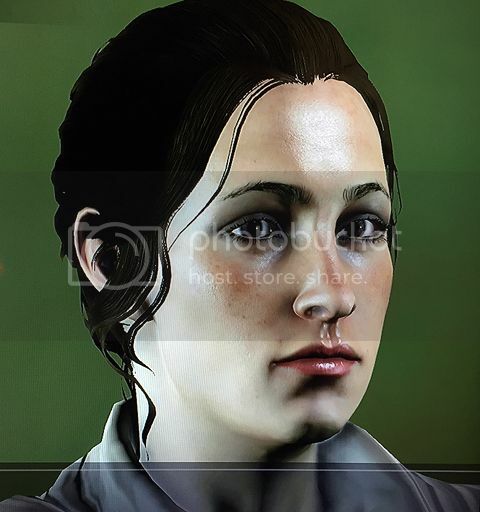 I'd love to see what everyone's made with CC, so for those of you who've gotten to try out the game already: feel free to post pics of your inquisitor here. YES. I've been wanting to see pics. Sorry I need to ask how to upload pictures to this site. Most forums that I go to allow me to browse my own pictures on my computer. Here it says I have upload them to my media library? Oh im on xbox 360.. If you have a digital camera or a smartphone you could take pictures with that. I hope this thread remains. Would love to share my Inquisitor. The near photorealistic graphics are making me swoon! That hairstyle looks like one that wasn't shown before, it looks pretty good. Gives me a little bit of hope there might be some other styles too that weren't shown in any promotions.